Exercising soft power without adequate hard power is not a viable option in today’s world. China, with all hard power at its disposal, is claiming supremacy virtually over entire South China Sea (SCS), whereas India and Japan are finding it difficult to exercise their soft power supremacy either in the SCS or the Indian Ocean region (IOR). In the SCS, China has reclaimed roughly 800 hectares of land from nowhere and in the process has effectively enlarged its EEZ claims while shrinking the claims of other nations in the vicinity. The phenomenal reserves of oil and gas in the SCS has encouraged China to put roadblocks to commercial activities of countries like India who have won exploration contracts off Vietnam coast following due process. The Chinese claim to entire SCS and her insistence for vessels of other countries to seek their approval for passage through these waters has come as a surprise to the world. China has also declared Air Defence Identification Zone (ADIZ) over artificially created islands around reefs. To enforce the ADIZ, they could use fighter aircraft from two runways on the Spratly Islands, each 3000 metres, with a third runway under construction. Recently, the landing trials on these runways have been completed. This challenges the whole system of good order at sea, though the Vice Chairman of China’s Central Military Commission (CMC) Gen. Fan Changlong has said that China will not hinder passage of the sea farers. How would Japan and Taiwan cope with this Chinese assertiveness in SCS? Ever since the US officially announced its pivot shift to the Indo Pacific, the Chinese are on an overdrive to get the PLA Navy (PLAN) to assert in the blue waters. China’s Military Strategy Paper of 2015 specifies that its maritime domain will now fall under the category of Strategic Forces along with nuclear, cyber and space. It states that traditional thinking of land forces being predominant in national strategic calculus is not right and focus must shift to Maritime domain. The PLAN, therefore, has now been assigned a strategic role. Under the garb of anti piracy patrol, the Chinese have already positioned disproportionate naval combatants in the Indian Ocean. Naval tacticians find the deployment of a nuclear submarine for anti piracy tasks very hard to accept. Most of the Chinese task forces are now crossing the Mediterranean and visiting countries far beyond the Gulf of Aden where piracy takes place. The establishment of Maritime silk route would further legitimise inflated presence of naval combatants in the Indian Ocean on the pretext of securing sea lanes for developing trade. Russia too has become assertive on the world stage as seen by its entering the fray in Syria. The Russians have turned to the Chinese for trade and strategic interests and are selling military hardware and technologies to China. The two navies exercised together in the SCS, which could result in a cold war scenario, with US and EU on one side and China and Russia on the other. The Chinese development of anti access and area denial (A2/AD) and anti Satellite (ASAT) capabilities are aimed against nations who have aircraft carriers and satellite constellations. US has been spending over USD 300 million per year for quite some time now, for operationalising satellite based Directed Energy weapons mainly to be used from sea against incoming high speed missiles. 100 KW laser generators are on the verge of entering service. Clearly, scenario of future confrontation at sea is emerging. China-India Cold War situation also seems to be in the making in the IOR. Moscow has supplied aircraft engines for JF 17 fighters manufactured by China (also being coproduced by Pakistan). Pakistan is getting military helicopters from Russia and eight diesel submarines from China. There are reports that China is also helping Pakistan to integrate nuclear tipped missiles on their future submarines. China-Pakistan collusion thus magnifies India’s security concerns manifold. The smaller economies of Sri Lanka, Seychelles and Maldives have fallen prey to Chinese money power and will have to compensate China elsewhere. The debt which these island nations are accruing, will force them to provide berthing facilities to Chinese naval forces in lieu. The debt for equity in Hambantota has become a reality already. Recently , Maldives parliament passed a bill which may permit China to acquire islands as long as their investment is over USD 1 billion for development and reclaims at least 70 percent area around the island. This is clearly tailor made for China which has specialised in reclamation. But what probably has gone unnoticed is that the Maldivian President Yameen did not have absolute majority in the parliament required for the passage of this bill. 11 parliamentarians of Nasheed’s party voted in favour of the bill which is clearly an indication of Chinese money power at play. As Maldives and India share EEZ, any island which is leased to the Chinese in the northern group will raise maritime security concerns of Delhi. The situation calls for close monitoring and the situation is beyond the stage of hands call in the IOR. Vice Admiral Shekhar Sinha, PVSM, AVSM, NM and Bar is the former Commander in Chief Western Naval Command & former Chief of Integrated Defence Staff. 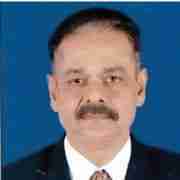 He is Member, Governing Council, Centre for Security Studies, India Foundation. PILOTING - A REDUNDANT JOB?